B&B Electric has a skilled and knowledgeable team of electricians designated solely to the mining industry. We know working at and around mines can come with more challenges and safety concerns than other job-sites, let our dedicated team design and execute the best electrical plan for your mine. Our team will expedite the completion of your project to ensure your product is heading down the rail in short order. B&B Electric offers full service mining electrical contracting based in Eau Claire, WI. We can design, install and help start mines throughout the country. Our experience, skill, and know-how has helped us become national leader as electricians in the mining sector. Let B&B Electric get the job done efficiently and effectively for you. Your project will be completed with ease and efficiently, so you can get to market faster and gain more market share. Our unique pre-construction phase helps us identify any challenges associated with your project and create a plan that fits within your budget. This planning process helps us deliver successful projects, while meeting your financial goals. B&B has over 25 years of experience specifically with mining projects, and experience working throughout the country. Let our expertise lead your project, with less stress and more ease. 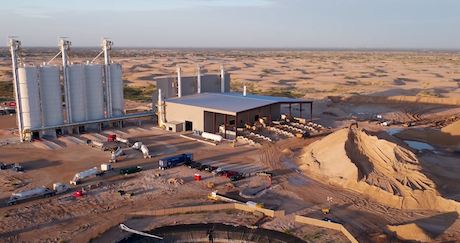 In the pursuit of becoming the first major supplier of frac sand products in the Permian basin, Hi-Crush needed temporary power when primary power lines were being installed. The Permian basin is quickly growing into one of the largest oil patches in the world. 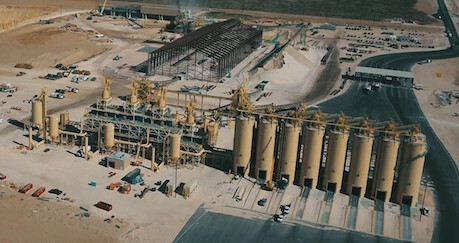 At the Black Mountain Sand plant in Kermit, Texas, they had the goal of having an extraordinary amount of vertical storage for their sand. See our recent mining projects and see what’s possible for your next project.